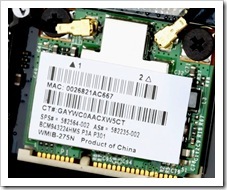 This package contains drivers for the supported Broadcom Wireless LAN Adapters. What the major difference between the drivers Version 5.30.21.0 (7 07 2009) and Version: 5.60.18.8 REV: B (19 Oct 2009)? please can you help me get the wlan driver for Haier Notebook m720s?